Young climate activists outside the US Capitol on Friday, March 15, 2019. 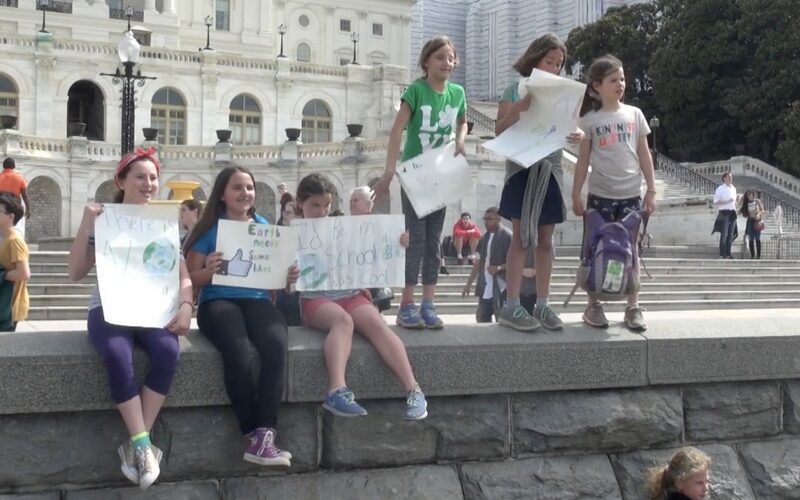 Hundreds of young activists gathered in front of the US Capitol Building on Friday to demand action on climate change. Speakers included Rep. Ilhan Omar, D-Minn., and her daughter Isra Hirsi, one of the organizers of the strike. After her speech, Omar also responded to the recent mosque shooting in New Zealand. The “Climate Strike” in DC is just one of hundreds of strikes planned across the world on March 15. The inspiration behind the movement is Greta Thunberg, a 15-year-old Swedish girl who protested solo in support of climate action in Stockholm for weeks in fall 2018 and was recently nominated for the Nobel peace prize.